Stockholm, Sweden – Royal Philips (NYSE: PHG; AEX: PHIA) today announced that it has signed a new agreement with the Stockholm County Council on patient monitoring systems and software for the Karolinska University Hospital, which comprises the New Karolinska Solna University Hospital and the Karolinska University Hospital Huddinge. As part of the agreement, Philips will deliver patient monitoring systems and clinical decision support applications that can be used to monitor a patient’s vital signs including the respiratory rate, pulse, blood pressure and temperature. The new agreement further includes an innovation collaboration to jointly develop next-generation solutions for patient-centric care. “For Philips, strategic partnerships with leading healthcare providers such as Karolinka University Hospital are an important and effective way to create innovative health technologies that can both streamline and enhance the delivery of care,” said Johan Folkunger, General Manager of Philips’ Health Systems businesses in Sweden. 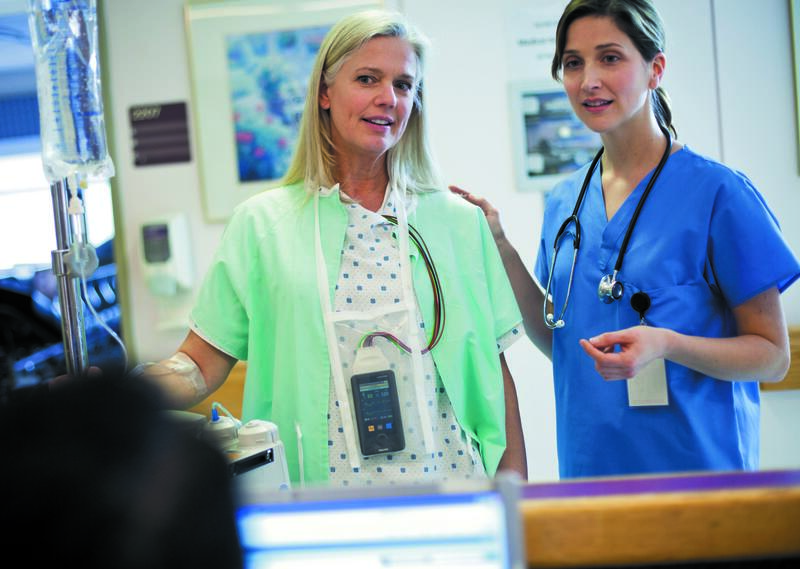 Philips’ patient monitoring systems can measure and collect a patient’s vital signs and allow remote monitoring from a central workstation as well as bedside monitoring at an individual patient’s bedside. The data can be readily accessed and used by the relevant staff for the adequate delivery of care. The collected data is stored centrally at the Karolinska University Hospital and can be used for the delivery of care, quality enhancement and clinical research. The New Karolinska Solna University Hospital is currently being constructed and will be admitting the first patients in the fourth quarter of 2016. The majority of the construction work is expected to be finalized in the course of 2017 and the hospital is planned to be fully operational in 2018. Karolinska University Hospital is one of the world’s leading academic hospitals, and its new site will reinforce its position in the field of highly specialized medical care. The New Karolinska Solna University Hospital will implement a patient-centric approach to healthcare and deploy care pathways in which patient care, clinical research and training have been integrated. This is fully in line with Philips’ mission to develop meaningful innovations that make a difference for consumers, patients and healthcare providers.